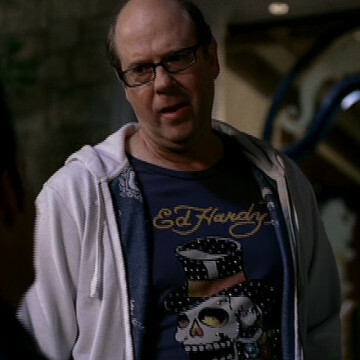 Stephen Tobolowsky plays the part of the Beverly Hills mayor during season four episode four, titled Sorry, Harvey. Johnny Drama’s new condo is right out of city limits, and with his power to annex, mayor Nel Lawry is invited along for a night out with the Chase brothers in hopes of earning Johnny the full benefits of a true Beverly Hills citizen. Stephen also played the part of Ned in 1993’s Groundhog Day and was the voice of Alan Davenport in 2010’s Buried.